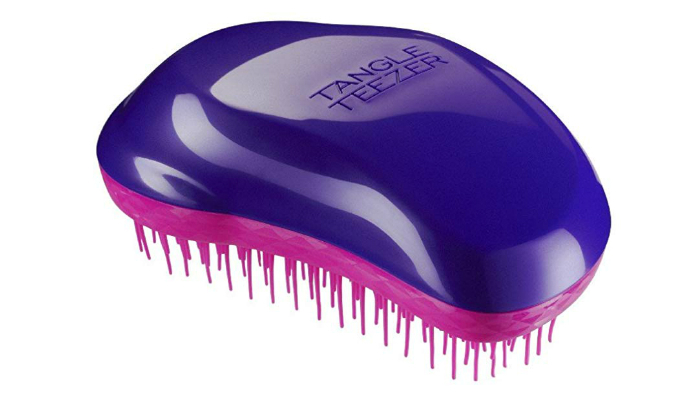 Tangle Teezer is a world-famous brand because of its high-quality detangling brushes. So, it can be tricky to choose a single brush from the company’s wide array of products. To help you select the right one for you, we’re introducing the best Tangle Teezer as well as other ideal options from the brand. You know what they say, nothing beats the original. 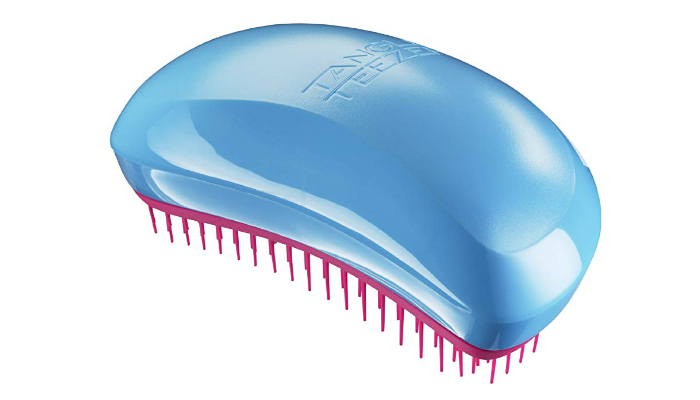 Tangle Teezer The Original Hairbrush will always be the brand’s flagship product. It is proven to be effective whether your hair is wet or dry. This detangling brush will enhance your control as you style your hair. A huge factor for that benefit is the brush’s design. It provides an excellent grip because of its shape that will conform to your palm. For a tidier look, you should also minimize frizz and breakage. This brush can help you achieve that. It has a special design wherein two tiers hold long and short teeth. What exactly happens if the brush’s teeth are uneven? It turns out that long teeth are meant for detangling. Meanwhile, the short ones aim to give you smoother hair cuticle. The result is shinier hair. Effective for any hair type, Tangle Teezer Salon Elite Professional is useful for daily use. It can easily brush your hair all the way from the roots to the tips. Expect no painful pulls or tugs from this product. If you prefer brushing your hair while showering, you’re more likely to drop the brush all the time due to slippery hands. Good thing that this option is super-durable. Even if you’d drop it many times, it would remain intact. Having a thick head of hair is a dream come true for most people. However, it can be very difficult to manage. Fortunately, there’s an easy solution for that. 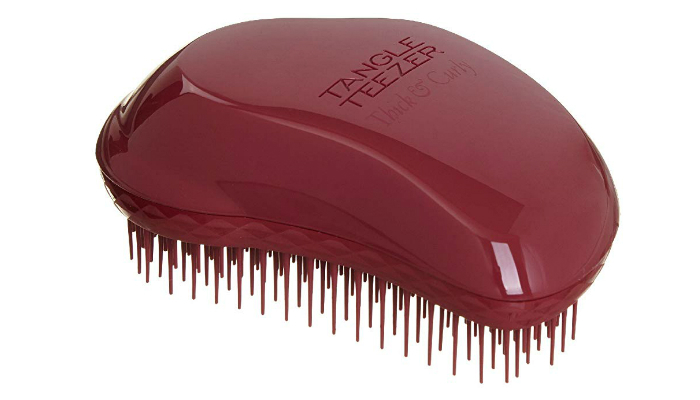 Tangle Teezer Thick & Curly Hairbrush is specially designed for coarse hair. It is so effective that no matter how thick or curly your hair is, it can remove knots and tangles in just a snap. What makes this detangling brush different than other options? It uses Firm Flex teeth which are longer and stronger than the brand’s standard design. Now, here’s something different. Tangle Teezer Blow-Styling Tool has a handle you might find more convenient than the usual palm-shaped design. However, its main purpose isn’t detangling. This product is all about managing your wet hair until the blow-drying process. It will help you straighten your hair without using other hot tools. It is a great match for your hair dryer because of its bottle-shaped teeth. The teeth’s design works by gradually eliminating excess water from your hair. As a plus, it won’t pull your hair to keep it thick and lustrous. 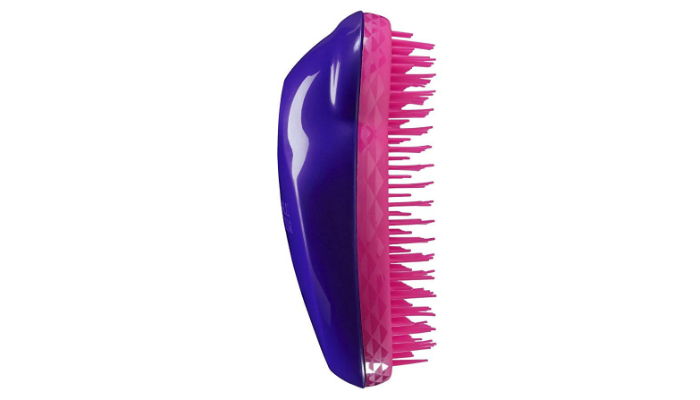 While most options here are about wet-to-dry brushing, Tangle Teezer Aqua Splash Hairbrush is technically a wet brush. Its unique design is perfect for combing hair that’s covered in shampoo, conditioner, or any similar product. It allows water to easily drain off to avoid trapping moisture. Choosing the best Tangle Teezer mainly involves considering what your hair needs. You may even buy multiple products if your styling routine is extensive. The three major types of brushes, according to the brand’s official website, are detangling, blow-drying, and styling. The number one reason why these brushes are effective is their teeth’s innovative design. They have the strength to detangle any hair type without hurting the scalp. They will keep your hair beautiful and healthy. Under this category, we have the Wet Detangler, Original, Thick & Curly, Compact Styler, and Salon Elite. We want to highlight the Wet Detangler first because it is the latest design from the brand. It is obviously for wet hair, but it’s actually more than that. It can protect your fragile strands by preventing breakage. To be more specific, the Wet Detangler has 325 flexible teeth that can remove knots and tangles in just a few strokes. From the newest design, let’s proceed to the oldest variation of the brand. The Original isn’t just the most popular one; it has gained numerous awards for its uniqueness and innovative features. The Original is known for its two-tiered teeth. It focuses on making your hair smoother, softer, and shinier than ever. Meanwhile, for afro hair, Thick & Curly is the best option for that. Other designs aren’t effective for curly hair because their teeth lack length and strength. Now, what’s Compact Styler for? Simple: it’s just the travel-friendly alternative of the brand. It can easily fit handbags. Lastly, the Salon Elite leaves a professional touch. It can make your strands shinier without the need for hot styling tools and hair products. The less heat from your hairdryer, the better. However, you can’t achieve that without using a reliable brush. That’s where blow-drying hairbrushes come in. These brushes will give your hair a more natural look. If your hair is wavy, a blow-drying brush can even make your waves smoother. There are only two designs under blow-drying hairbrushes. You just have to choose between the Smoothing Tool and the Round Tool. The Smoothing Tool reduces tension for a smoother stroke. It won’t pull or drag your hair even if it’s still wet. On the other hand, the Round Tool focuses on volume. It can increase your hair’s bounce by lifting its roots. Ideal for perfecting updos and simple hairstyles, styling brushes have two special designs. It includes the Ultimate Finishing Tool and Back-Combing Hairbrush. The Ultimate is best for maintaining hair attachments. It can handle weaves, clip-ins, and extensions. When it comes to the Back-Combing design, it can improve your hair’s volume, height, and texture. If you like dramatic updos, this is the right Tangle Teezer for you. 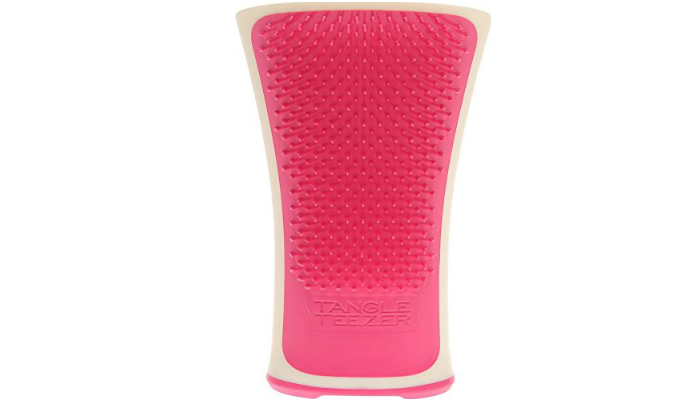 The product we selected for the top spot is Tangle Teezer The Original Hairbrush. Even though the best Tangle Teezer varies from one person to another, the Original perfectly represents the brand. It is the ultimate standard of detangling brushes.